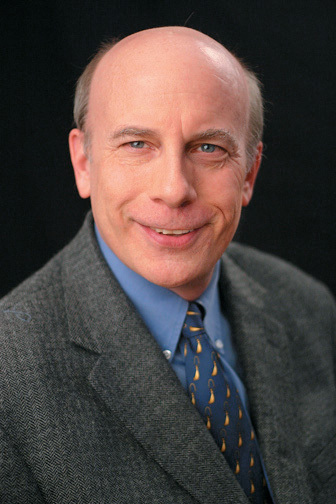 GEN’s John Sterling discusses his trip to the Global Future 2045 International Congress. Last week I attended The Global Future 2045 International Congress (www.gf2045.com) in New York. It was billed as a “congress [that] will discuss key topics such as the transformation of humanity, intelligent evolution, and the emergence of an immortal meta-intelligence at the planetary scale” and—this is what convinced me to go—“much more.” Really? What else could I possibly ask for? Actually, while parts of the conference were reminiscent of “New Age” meetings I went to in the late 1970s, most sessions were largely “scientific.” But even some of these skirted extremely close to being in the realm of science fiction. However, when you looked at the program and cast an eye on the list of presenters, you found some impressive names. Moreover, these folks were dead-on serious and earnest about their research, a good chunk of which has already become a reality. For example, there was George Church from Harvard talking about his team’s development of Clusters of Regularly Interspaced Short Palindromic Repeat (CRISPR) devices. These are protein-RNA-DNA complexes that enable human genome and epigenome engineering with a reported 20-fold higher efficiency and over 100-fold easier programming than other methods. Ed Boyden, who leads the synthetic neurobiology group at MIT, has come up with “optogenetic” tools for analyzing and engineering the brain. Ted Berger, from the USC Center for Neuroengineering, is building cognitive neural prostheses for restoring and enhancing memory function. He has already demonstrated proof-of-concept in rats. On the other hand, artificial intelligence pioneer Marvin Minsky, also from MIT, took a somewhat contrarian view of all these remarkable scientific reports by noting that he doubts that we will be able to make people more intelligent and turn them into machines with replaceable parts by 2045. “But who knows,” he added. By far, the most fascinating presentation for me was that given by Martine Rothblatt, founder, chairperson, and CEO of United Therapeutics, which focuses on developing therapies for cardiovascular and infectious diseases and cancer. During her session, entitled “The Goal of Biotechnology is the End of Death,” Rothblatt told the 1,000+ audience members about her concept of mindclones. Got that? If Rothblatt is right, our individual personality with all its memories, fears, thoughts, emotions, etc., may one day be transferred into some kind of digital device. Or maybe even a digital being. More about that later. Before you completely pooh-pooh Ms. Rothblatt’s ideas, keep this in mind. Prior to United Therapeutics, she founded and served as chairman and CEO of Sirius XM Satellite Radio. She also represented the radio astronomy interests of the National Academy of Sciences’ Committee on Radio Frequencies before the Federal Communications Commission. And she led the International Bar Association’s efforts to present the United Nations with a draft Human Genome Treaty. And serial entrepreneur, futurist, and “restless genius” (according to the Wall Street Journal) Ray Kurzweil is probably in her camp. Turning back to mindclones, if and when they happen, these may wind up in Avatars—like the one you see in the videos below—created by Hiroshi Ishiguro, director of the intelligent robotics laboratory in Osaka, Japan. When I first saw the avatar/robot sitting in a chair on the conference stage, I thought he was one of the speakers. 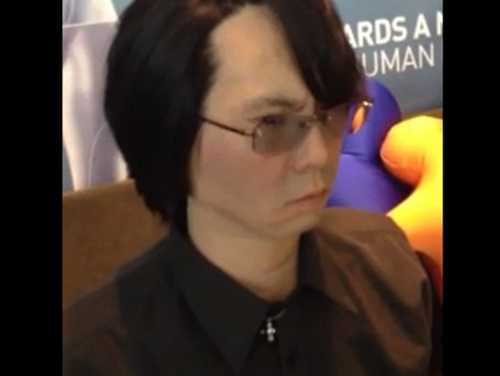 It was only during Ishiguro’s presentation that it was made known that this was an avatar. I must admit that I left the conference skeptical about many of the things I heard about. But it will be interesting, to say the least, to see which of these projects pan out and which descend into obscurity. John Sterling is editor in chief at GEN.